Yes! Yes! Yes! 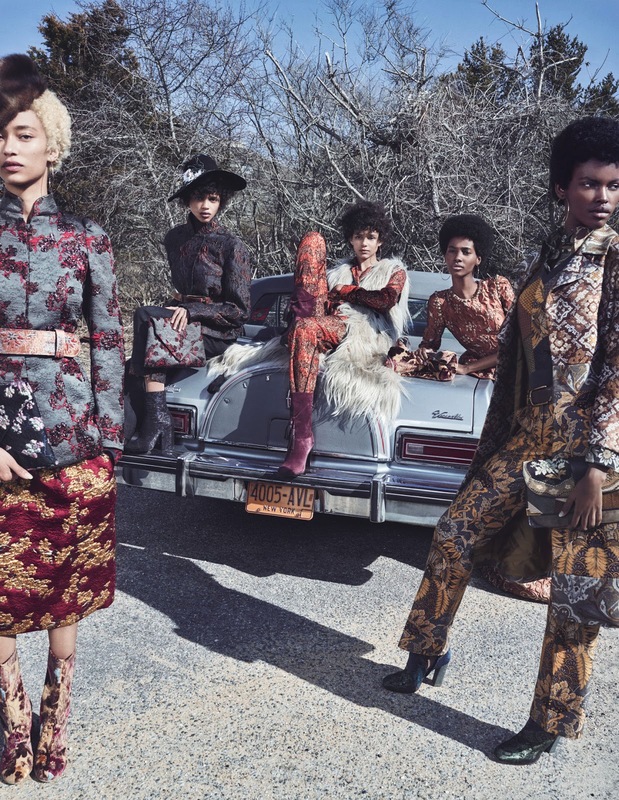 Major thanks to The YBF for bringing this amazingly haute editorial spread featured on W Magazine to our attention. Major dopeness featuring all Black models wearing the best trends of the fall. From Louis Vuitton to Burberry Prorsum to Celine to Etro to Donna Karan, these models rocked it. From tweed to pale colors to top coats to amazing lace to period drama to fur, these trends are must this Fall. These are just a few of the shots, but trust me there are a few more haute images for you to enjoy and be inspired by this Fall. For more looks and style details, visit W Magazine.